The Elections Commission has raised its concerns with Speaker Karu Jayasuriya and Prime Minister Ranil Wickremesinghe over the convening of Parliament on February 8 to debate the Bond Commission report and PRECIFAC report. 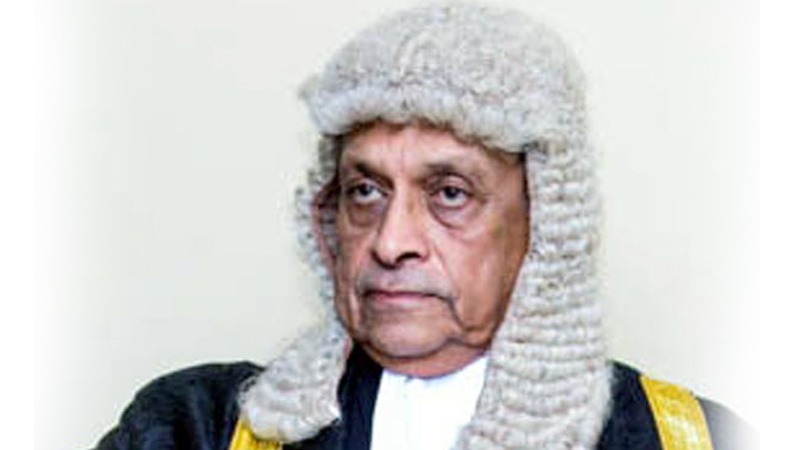 Election Commission member Prof. Ratnajeevan Hoole said Elections Commission Chairman Mahinda Deshapriya expressed these concerns to the Speaker and the Prime Minister on Saturday afternoon. Prof. Hoole pointed out that the period of silence, that is a cessation of all electioneering during the two days preceding the day of voting; namely,from midnight of February 7 to 8 should be adhered to according to guidelines and directions published by the Commission through the authority given to it by the Local Authorities Elections Ordinance in Section 76A which empowers the Elections Commission to, “by Order published in the Gazette, issue all such directions as they may consider necessary” where difficulties arise over the conduct or the elections process. According to Prof. Ratnajeevan Hoole, the elections may have to be postponed if the debate is held as planned on February 8. Presenting his views on the issue, Prof. Hoole said that the Local Government Elections may be postponed to February 12, or a later date, if Parliament convenes on February 8. “A debate would run counter to the law and may necessitate the Commission having to consider postponing the elections,” he said adding that such a postponement is certainly within the powers of the Commission under Section 76A. According to Prof. Hoole whether the elections will be postponed or not will depend on what the government does about the debate, and, if they go ahead, what we three members of the Commission decide to do about it. Prime Minister Ranil Wickremesinghe on Saturday announced that Parliament will be convened on February 8 to debate the Bond Commission report and other reports on serious fraud and corruption. The Premier made this announcement at a public rally held in Morawaka, Deniyaya on Saturday. “February 8 was deemed as a suitable date as the Ministers and Parliamentarians who are currently engaged in election campaign process,” Prime Minister Wickremesinghe said. He said the letter requesting for the parliament to be convened will be issued today. All three Election Commissioners will examine the situation that may arise if the Parliamentary debate on the Bond Commission report and PRECIFAC report falls on the silent days prior to the Local Government elections, Commission Chairman Mahinda Deshapriya said yesterday. The Commission needs to sit and talk about this matter, Deshapriya observed. “We are yet to arrive at any decision on this.The main issue in this situation is the debate falling on the silent days, or else the Election Commission has nothing to do with this debate. There are no legal concerns arising from this matter. I do not think we have any sort of power to overrule a decision taken by the Parliament if there would be any.” he pointed out. He also said that the Commission has not yet been officially informed about the date of the debate as well. However, he said he inquired about the matter from Speaker Karu Jayasuriya. Chairman Deshapriya made these observations at a press brief held at the Election Commission last evening. Deshapriya also said if the election is to be postponed it would be for three weeks or more. Accordingly, the three Commissioners of the Election Commission, Mahinda Deshapriya, Prof.Ratnajeevan Hoole and President’s Counsel Nalin Abeysekara will sit for a round of discussions on the matter. The Commission members were to conduct an initial discussion on the matter yesterday evening over Skype as Election Commissioner Prof. Ratnajeevan Hoole was in Jaffna. According to Deshapriya, another meeting will follow either on February 1 or 2. He observed that a party leaders meeting will have to precede their discussion if they are to arrive at any decision. “The Election Commission will do its level best to solve this troubled situation without causing harm to any party involved in this matter, including the public, political parties, media and the Election Commission. We have high hopes that the Local Government election will be held on February 10,” Deshapriya said. In a lighter vein, Deshapriya observed that the Commission is in a difficult situation to recommend or propose any suggestions over the matter at the moment. “Now we are at a Gedara giyoth abu nasi, Maga hitiyoth tho nasi situation which can be loosely translated as (If I go home, I will be a victim of my wife, if I stay on the roads, some harm may come to me). Asked what decisions he could take regarding this difficult situation, he displayed of signing and submitting a letter of resignation. That could be one of the decisions, he said, followed by laughter from those who were present at the brief. However, at a later point of the press brief, he said it was just a humorous act and nothing serious.”I won’t leave unless it is a natural cause. I will do my level best to hold this election.” he claimed.